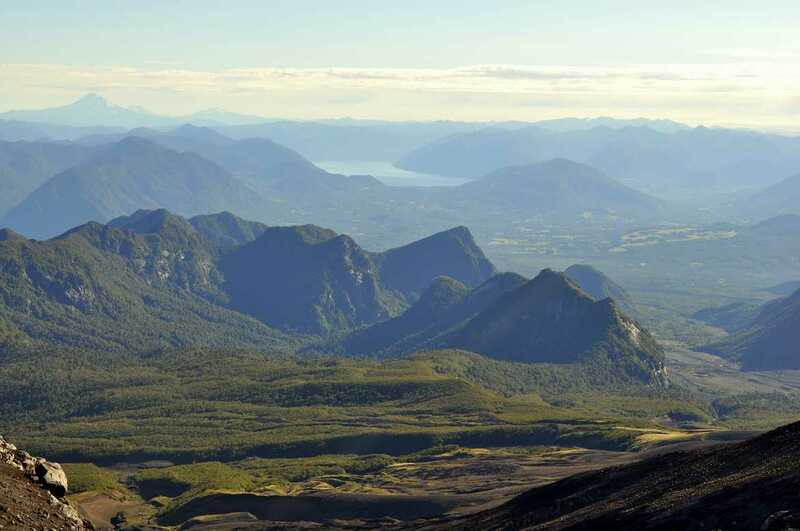 Villarrica is one of Chile’s most active volcanoes, located near the town Pucon. Climbig the volcano was an adventure we will never forget. 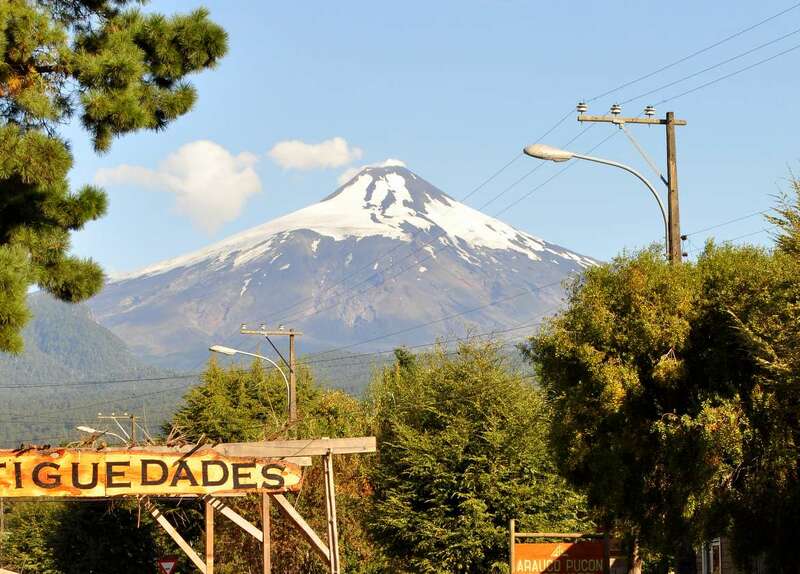 Our rating for Paradise Pucon Hostel is 7 out of 10. 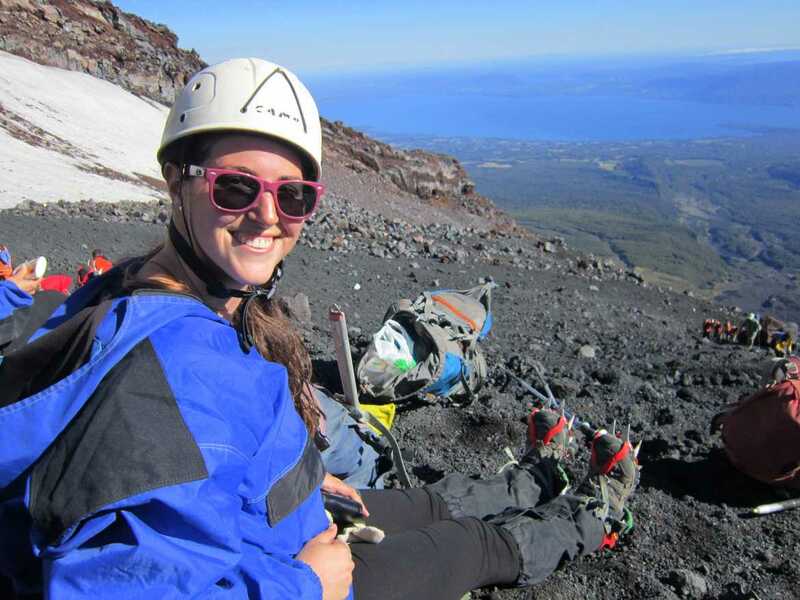 The purpose of our visit in Pucon was climbing the Villarrica volcano. It was really improtant for us to find a good agency for this excursion, with experienced guides and well maintained equipment. We heard recommendations about the agency of ‘El Refugio’ hostel. 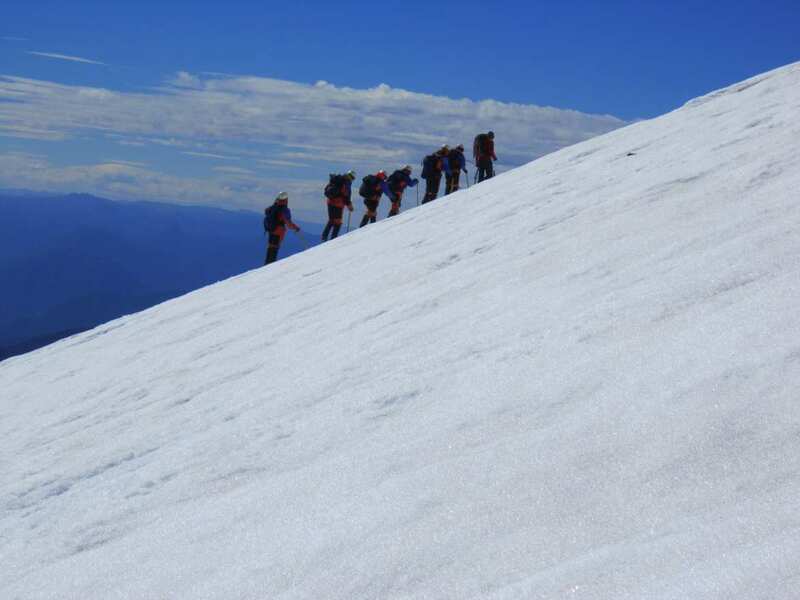 We spoke with the manager and asked all our questions, and decided to go to climb Villarrica with them. We were very pleased with our choise and strongly recommend them. We arrived to the starting point very early in the morning, around sunrise time. The guides informed our group that because of strong winds, the cable car will not be available today, so no shourt cuts, we need to climb all the way up by foot. We were a bit nervous about that, the cable car was supposed to save us around an hour and a half of climbing, and now we have to be strong enough to climb the steep way up, for 6 hours, untill we’ll reach the top of the volcano. We started climbing at 7:30 am. The wind made the climbing a bit harder. After an hour and a half, we did a quick 10 minute break for snacks and water. The agency gave us a small backpack, with the equipment we need for the technical part of the climing (gloves, waterproof jacket, crampones and a hammer for the snowy part, helmet and more). We continued hiking up, and I started to feel like maybe it’s too hard for me. I’m not in such a good shape, I can walk for hours in a flat path, but hiking for hours just a steep up hill…I didn’t imagined it would be so hard. At some point, I found myself with the slowest people in the group. I didn’t care too much to be the last one, as long as at the end I’ll reach the top. I wanted to give up. I wanted to say ‘that’s it. I can’t do it anymore. My breath is heavy and I have to quit’. But I did’nt. 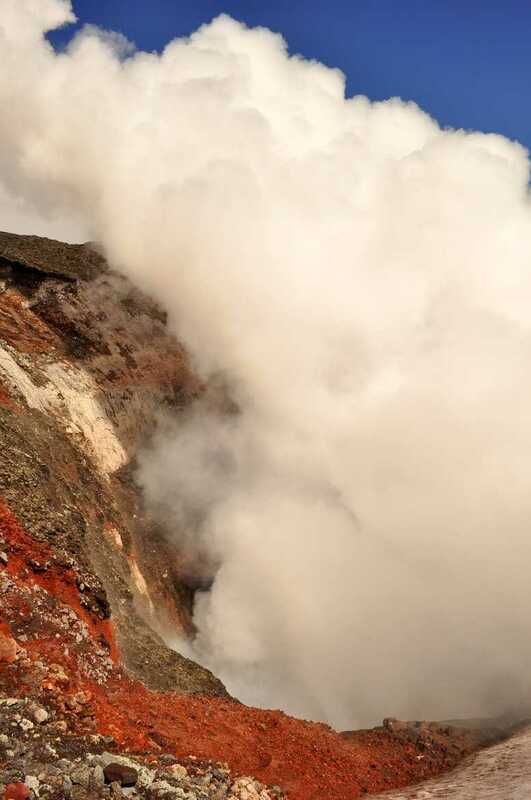 I kept climbing, determined to reach my goal- the top of the volcano. 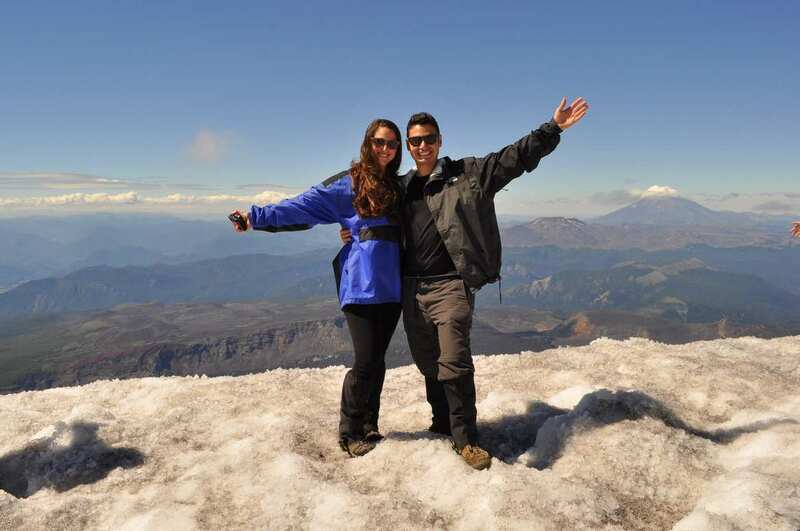 After the long-hard-6 hours climb up, we finally reached the top of Villarrica volcano! I was so happy and felt incredible. I was so proud of myself that I did it, even though it was very tough for me. 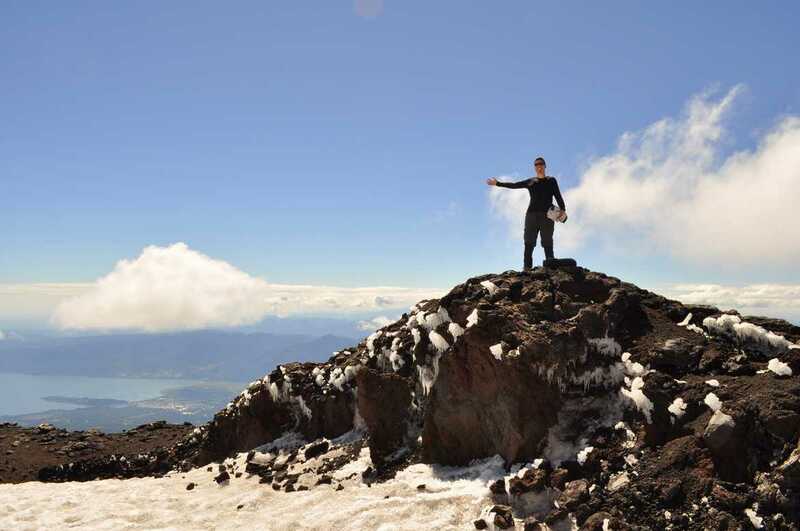 After the long-hard-6 hours climb up, we finally reached the top of Villarrica volcano! 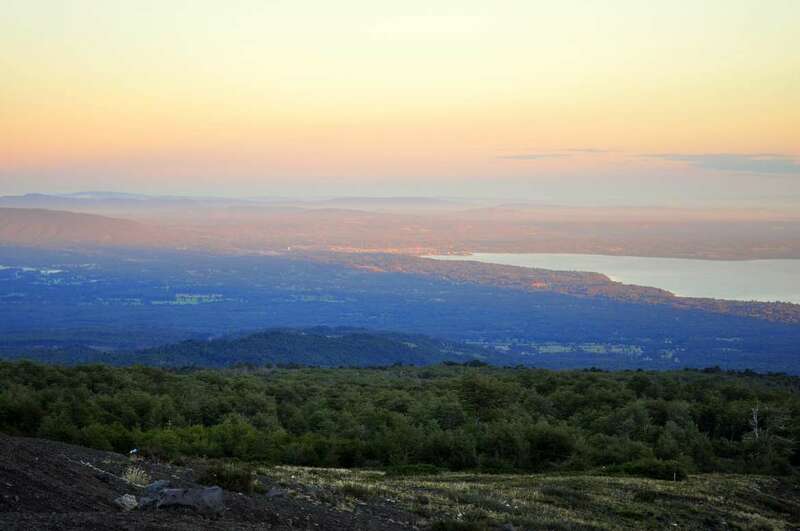 The view from the top of the volcano was surreal. Everything looked like computer visual effects. The smokey volcanic crater, the condors that were flying so close to us, the panoramic view from the top, all were so rewarding after the hard climb. I was so glad that I did’nt give up, cause the view from the top was something I’ll never forget. We spent around half an hour at the top and then, the fun part began: sliding our way down on the snow! We used a piece of plastic that we had in our backpacks and wore some clothing to protect from the snow, and started sliding! It was C-R-A-Z-Y! So much adrenaline. We had to use the hammer to slow our self down, which was a bit hard. I was scared, but at the same time, it was so much fun! We slid down for about 1 hour, and when the snowy part ended, we walked down by foot for around 2 and a half hours more. Towards the end of the down way, I felt that my knees are shaking. My legs were tired from this long day. When I finished the trail and waited for all the group to arrive, I tough to my self: mission accomplished! It was a long, demanding day, one of the hardest we had, but we did it. 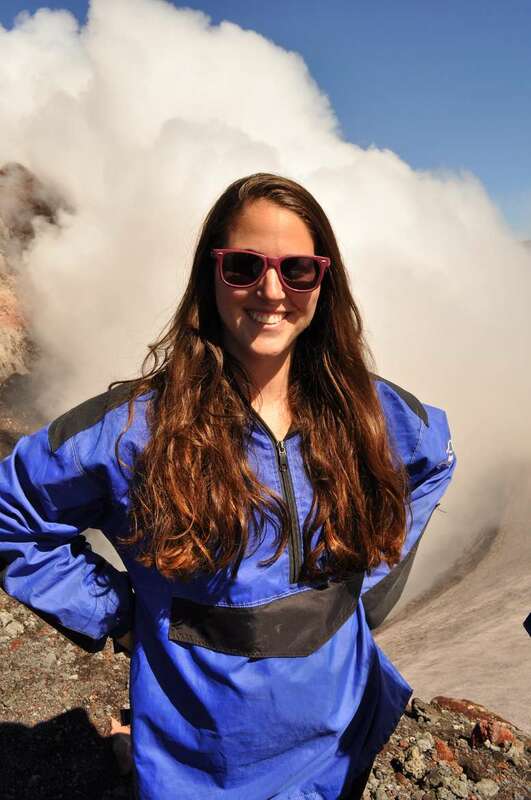 We climbed Villarrica volcano. And it was definately worth it. One important thing you should remember: excursions might be cancelled due to bad weather. You may drive with the agency to the beginning of the climbing trail, just to find out that it’s too dangarous to climb on that day. That’s why it’s important to find experienced guides and relayble agency, that on the one hand would not take the risk if conditions are bad, but on the other hand would encourage you on your way up to the top and take care of the safety matter. We finished our long day at ‘Los Posonez’ thermal pools, which was relaxing. It was a bit hard to stay awake, as the tours to the thermal pools are usually until late at night, but we were happy to be there and release the stress from our muscles. 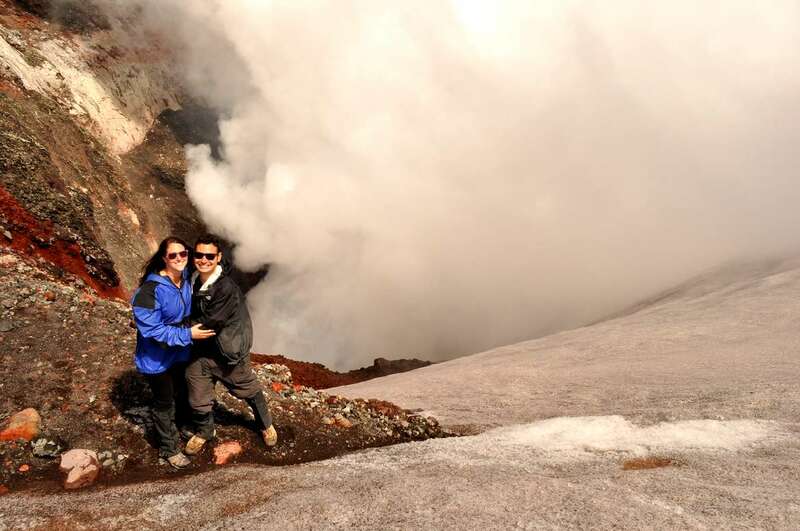 Our rating for climbing Villarrica Volcano is 10 out of 10! Welcome to San Cipriano – the Jungle Adventure Begins! Sigh up to receive updates! Backpacking Panda is a Traveling and Backpacking Around The World blog, created to share funny stories, travel tips, experiences, beautiful galleries, and huge passion for traveling and new adventures.